All-City has bred their cyclocross pedigree with a wild beast, and this is what happened--a bike whose only limits are your fortitude and wanderlust. 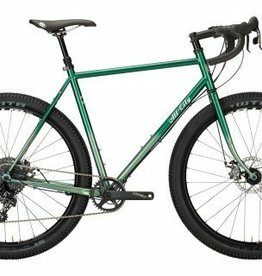 All-City's most popular model might be the last bike you ever need, even if you have a bike for everything. Big tires, racks, and fenders are all welcome on this very real steel steed.